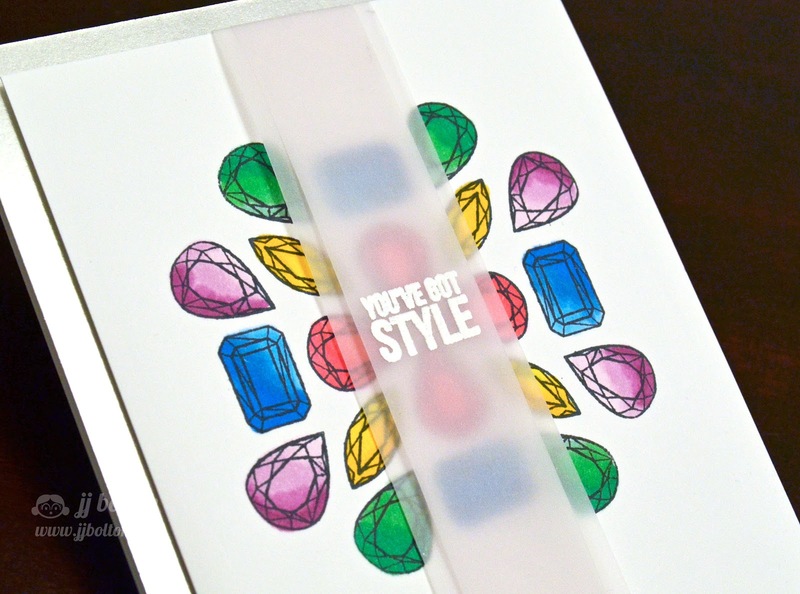 For this first card I used the gems from the Sparkle and Shine set to create a background design that I colored with Copics. 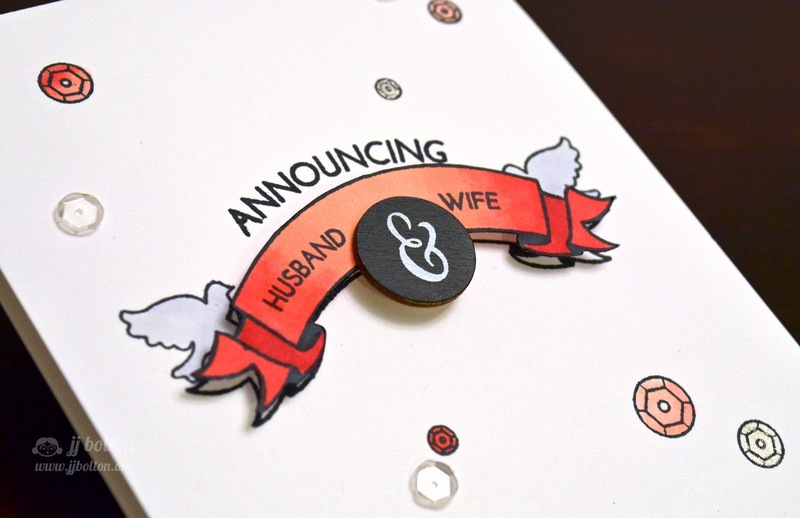 With a fun background, I don't like to cover it up too much, so vellum is the natural choice for the sentiment. I heat embossed the sentiment (from another set, Too Hip) on to a strip of vellum. I double layered the vellum to make the sentiment really stand out. The whole panel was layered (off center) over a piece of silver metallic card stock. This next card is all about the bling!!! Using masks, I made a single image of the banner loaded up with jewels. 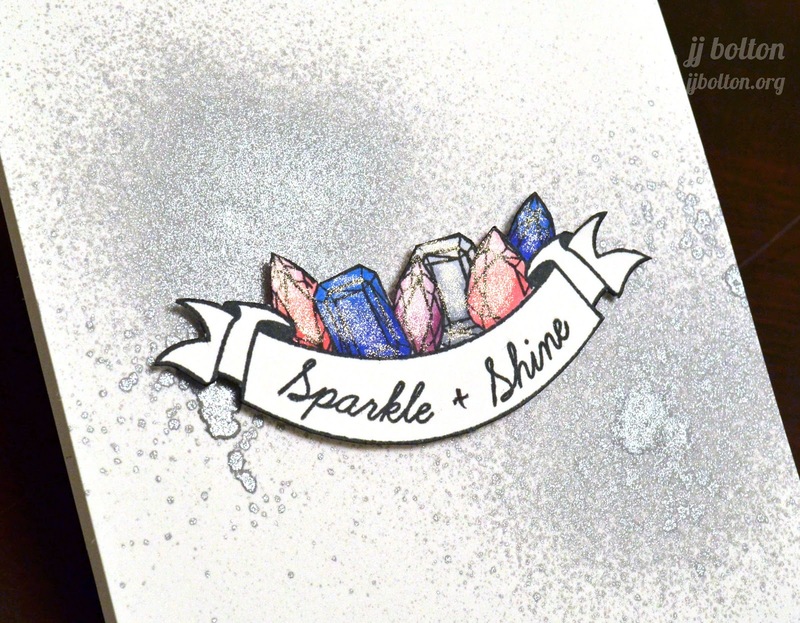 I colored each jewel with a Copic and added a generous amount of glitter with my glitter brush. I fussy cut the entire image to later glue to the card base. My last card to share pulls from both of Emily's sets again. I stamped the banner and colored it with Copics. Then I added stamped sequins all over the background. Each sequin is colored with Copics or glitter pen. Love these cards, especially that second one, the spray is fantastic! Wow, fabulous cards and stamps. 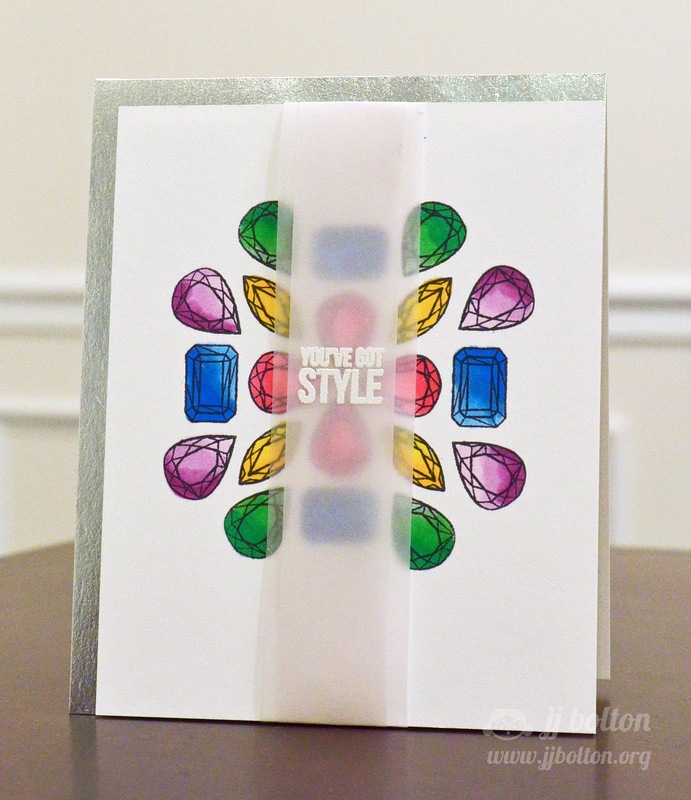 Love your double layer of vellum and those sequin stamps are so much fun! Love all the sparkly gems JJ! Fabulous cards. Oh I love how you used the bling set JJ. Oooo, the jewelled up banner is totally cool. 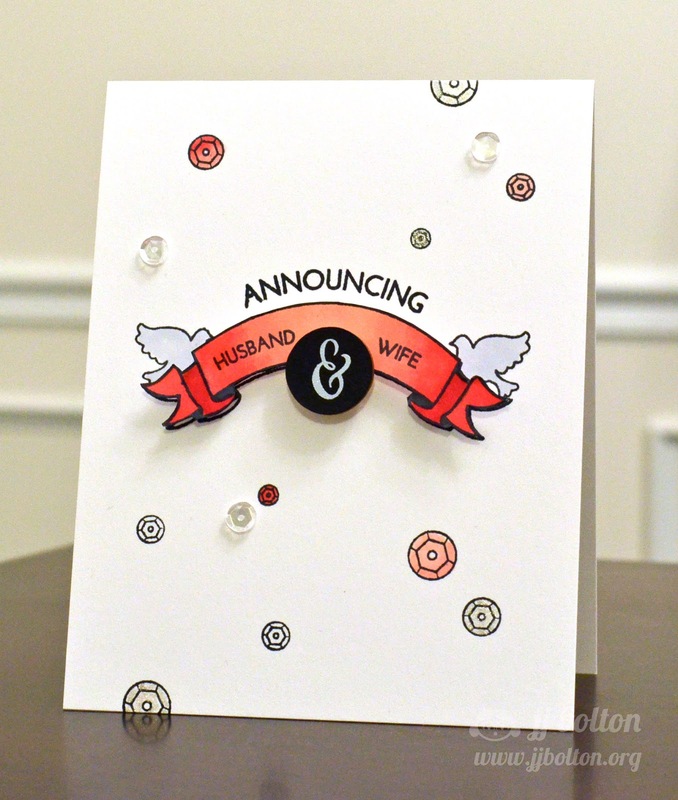 You have really showcased these new stamps sets so beautifully, JJ! 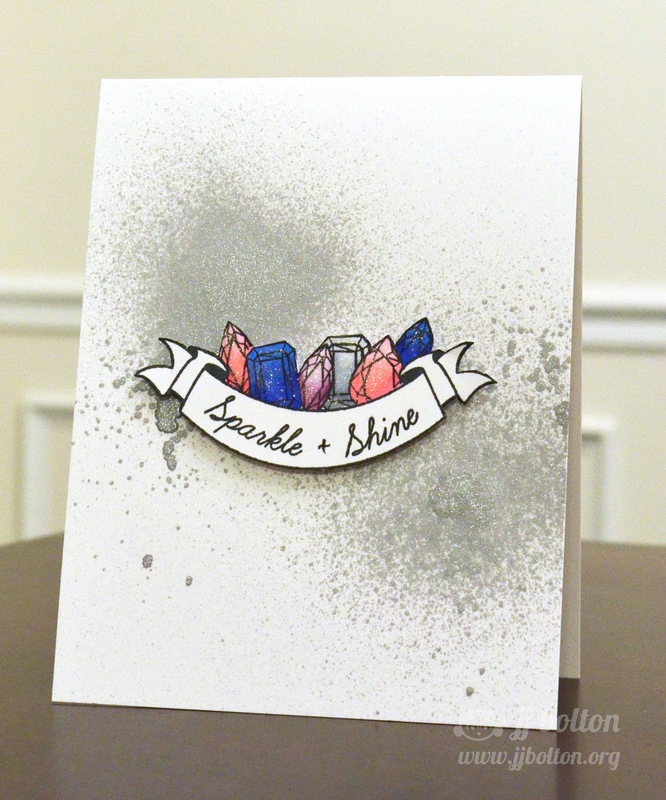 I love your idea of doubling the layer of vellum on your 1st card, and how you added so much wonderful sparkle and shine to your 2nd card! I also love all of your Copic coloring on the last one, too...it's so pretty! Loving the bling! The first card reminds me of Bejeweled...so fun! 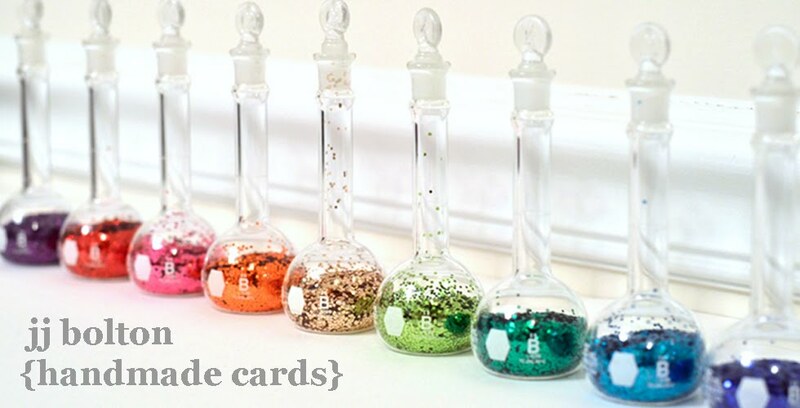 The second one is just fab and your last card is cool with the stamped sequins. AMAZING!! Love what you did with these stamps, JJ. WOW! These Gen stones look so real, lovely coloring and that sequin stamp is superb! !